The General Military Course (GMC) is taken during the freshman and sophomore years. This is a chance to take the Air Force out for a test-drive with no service commitment. GMC students are eligible to compete for in-college scholarships. 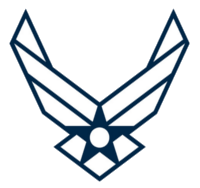 The GMC classes are 1 credit hour and include an introduction to the Air Force and the history of US airpower. Students who complete the GMC progress into the second half of the program, the Professional Officer's Course (POC). Prior to entry into the POC, students must complete a 4-week summer LEAD encampment. Both GMC and POC participate in a Leadership Laboratory once a week with POC playing a more active role in coordinating unit activities. Cadets will also participate in physical training twice a week.